This makes weapon recoil feel more solid and heightens the sense that a hit has actually been made. This mod does not add an animation. You can customize each value, of weapon independently (read below) in MCM. Active: Toggle this option to apply effects. 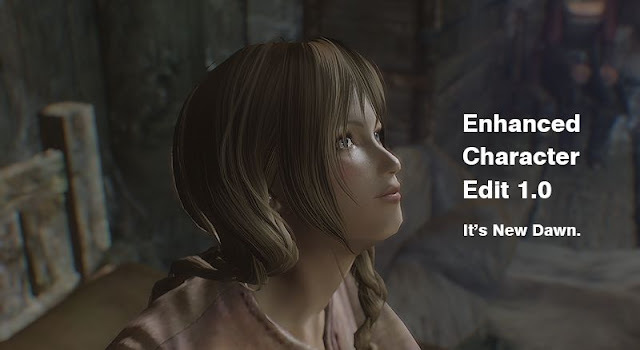 Install with your mod manager. *This mod has shared some files TK Hitstop. You can overwrite it without problems. Then save, quit the game and delete from your mod manager. 2013.03.05 1.1 When the player loads a new bolt on crossbow applies effect bug fixed. Default bow value to half reduced. 2013.03.14 1.2 Recoil method changed. More solid and faster response. Apply recoil while slow time. 2014.12.05 1.3 Fixed bugs disable the function when the player back from Werewolf and vampire load. 2016.07.02 1.4 Recoil time displayed in 0.01 seconds in MCM. 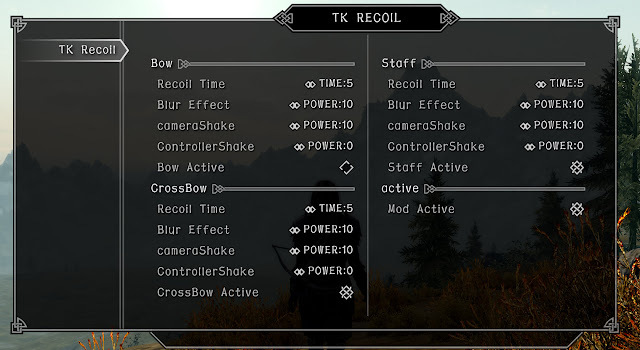 Default value changed: Activate Bow Effect:off -> on, recoil time crossbow and staff: 0.1 -> 0.08. Japanese language supported.